Bright!Tax Has Been Shortlisted For Another Prestigious FEM EMMA Award! Just a fortnight after being named Expat Tax Provider of the Year 2017 for the Asia Pacific Region at a prestigious awards dinner in Hong Kong, coming in ahead of Big 4 accounting firm EY, Bright!Tax has now also been shortlisted for the 2017 Tax Provider of the Year award for Europe, the Middle East and Africa (EMEA). In May in Denver meanwhile, Bright!Tax was named Tax Provider of the Year 2017 for the Americas Region, as well as runner up in the ‘Innovation in Banking and Financial Services’ category behind global banking giant HSBC. 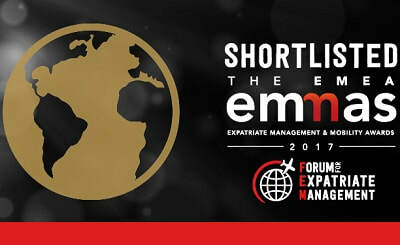 The EMMA awards are the brainchild of the Forum of Expatriate Management. 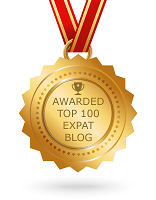 They are held annually across 3 global regions (the Americas, Asia Pacific, and Europe, the Middle East and Africa), to recognize and celebrate excellence in the Global Mobility and Expat Services industries. The latest announcement gives Bright!Tax a chance to claim an unprecedented trifecta win across all 3 regions in the same year. Bright!Tax’s growing dominance in expat tax services provision is thanks to a combination of offering a personal service alongside having introduced some industry-first innovations that have revolutionized the experience of filing US taxes from abroad for American Expats. In the last year for example, Bright!Tax has launched a ground-breaking Online Client Tax Organizer, created from the ground up to alleviates the necessity for expats to complete a long questionnaire form when they begin their tax return each year, as well as the Bright!Tax App, which allows expat clients to file their US taxes from their phone or iPad, communicating with their Bright!Tax CPA, and securely scanning and uploading tax documents from their mobile device. Serial award winning entrepreneur Greg Dewald founded Bright!Tax after he became an expat himself and discovered that filing US taxes from abroad was not just mandatory but more complex than filing from in the States. There was also little support available to help expats navigate the myriad filing rules. The 2010 Foreign Accounts Tax Compliance Act meanwhile (also known as FATCA) means the US government is now able to enforce expat tax filing, leaving millions of Americans living overseas with the dilemma of wanting to file but being concerned that either they may get it wrong (due to the complextity involved), or that doing so will leave them open to past penalties. Bright!Tax is focused on providing not just assistance in gaining compliance, but also a smooth, reassuring experience that removes the stress from the process. The winner will be announced at a gala dinner in London on November 10th.